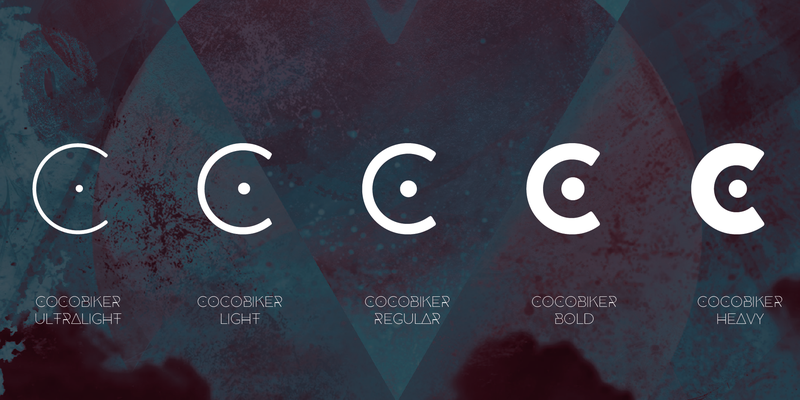 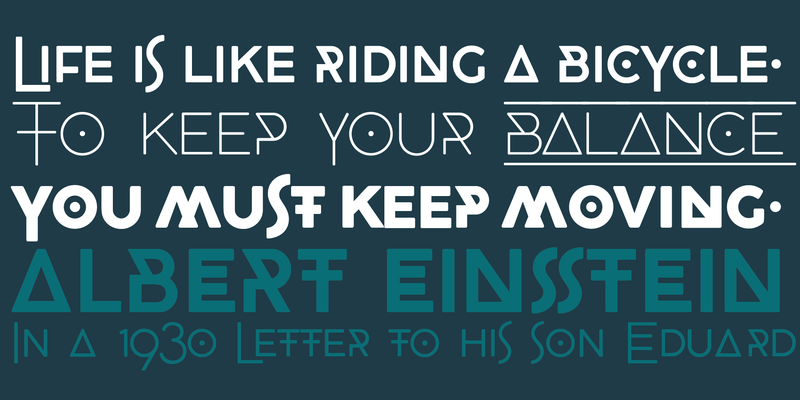 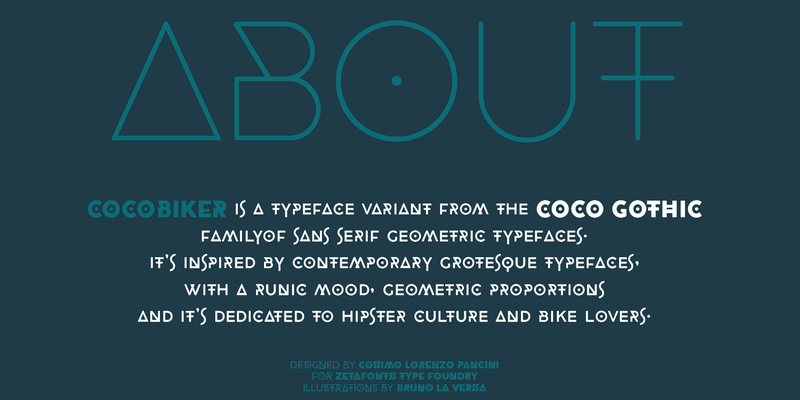 COCOBIKER is a typeface variant from the COCO GOTHIC family. 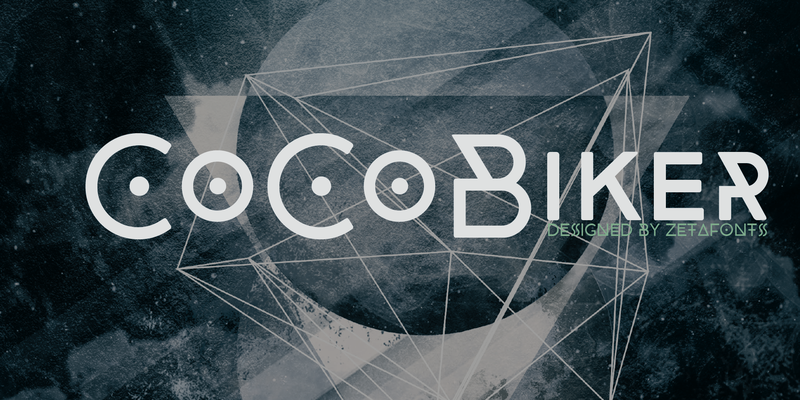 It’s inspired by contemporary grotesque typefaces, with a runic mood, geometric proportions and ultraconnected geometry. 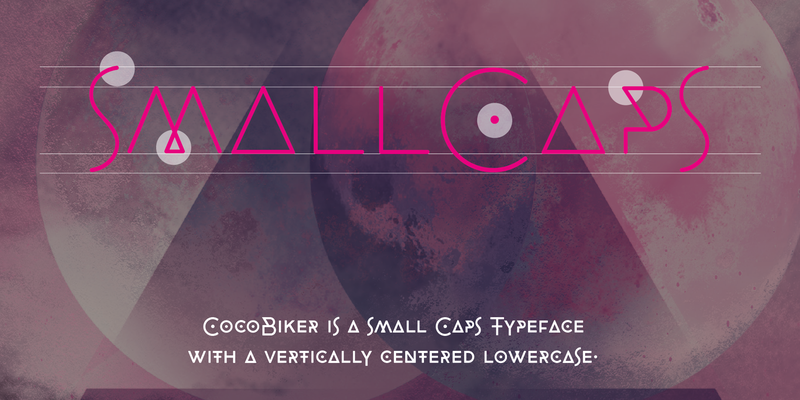 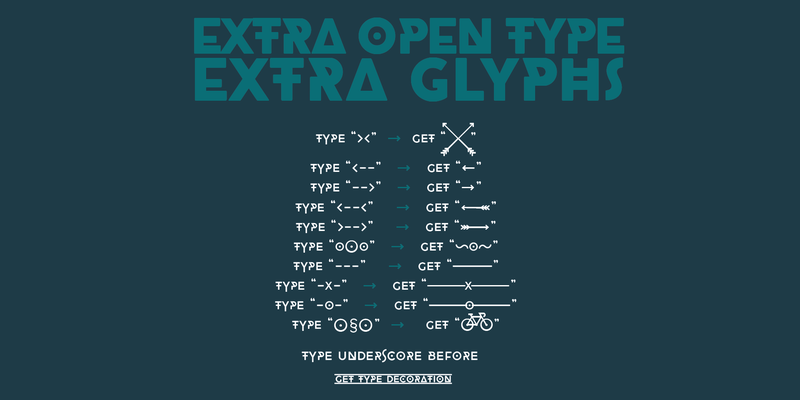 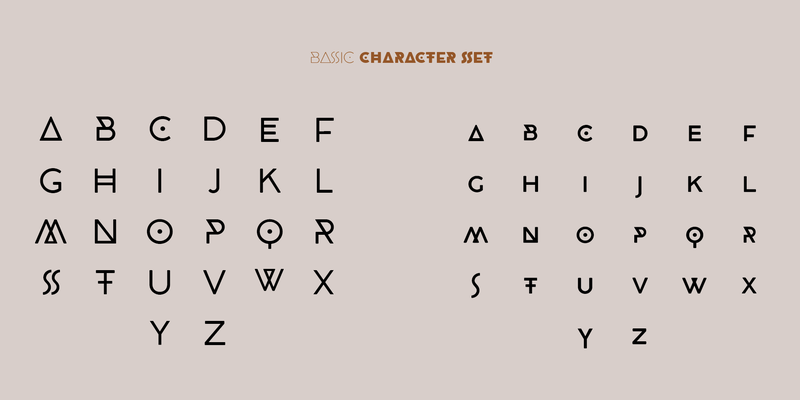 A sans serif font dedicated to hipster culture and bike lovers, it has been designed as a display Small Caps typeface, but it’s still readable in text blocks. 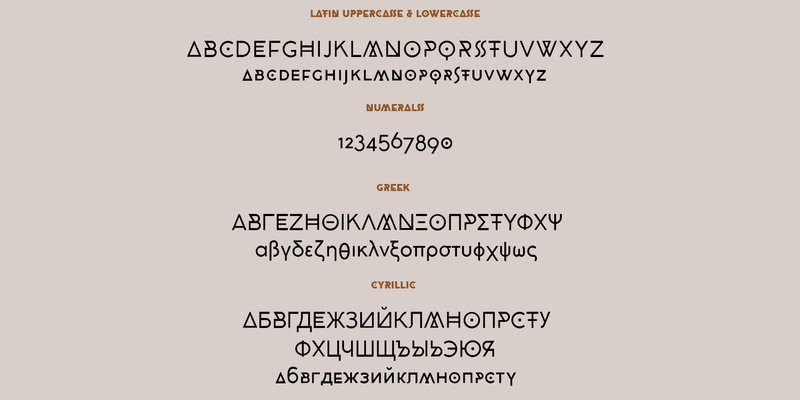 It comes in five weights and features an extended character set with support for European languages, Greek and Cyrillic alphabets, and open type support for ligatures, and special dingbats and symbols.